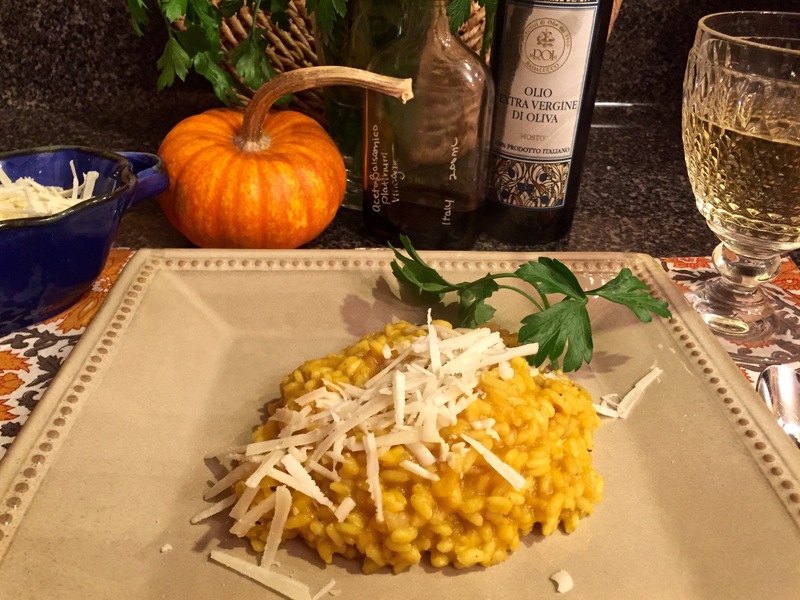 Here is a recipe that Tom and I sent out with our Christmas cards in 2005 having deemed it “Tuscan Tom’s Recipe of the Year.” We had just returned from a three-week vacation to Umbria, Tuscany, Venice, and Rome, so we were in an Italian state of mind. 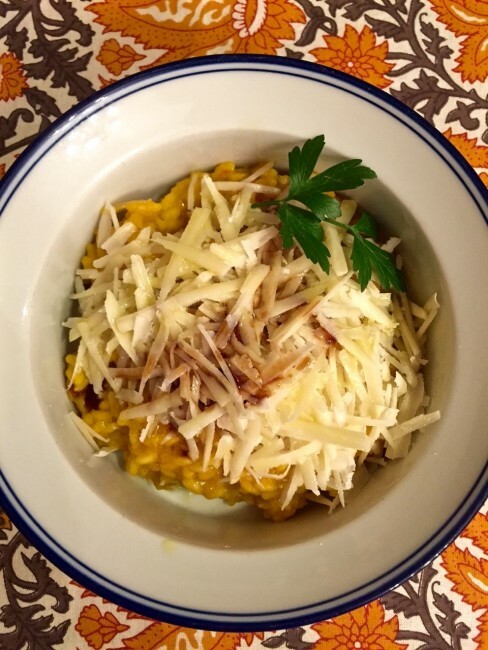 We made this again this past weekend, and it’s as good (or better) than we recalled and, more importantly, even worth the two-day effort of making it. Just a couple of notes about the rice, we have tried many brands, and it does make a difference. If you are using Arborio rice, we like Ferrara or Beretta; for Vialone Nano we like Campanini brand. 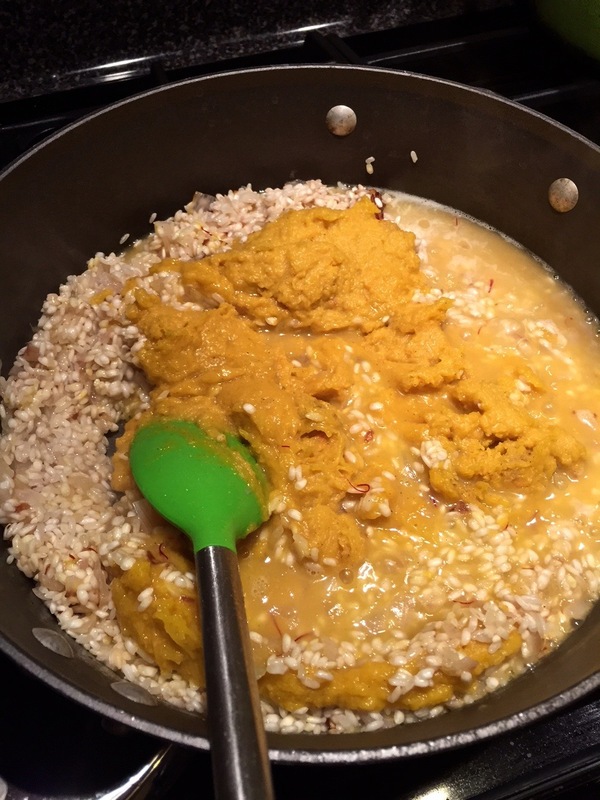 As for the saffron, I go heavy on this (as Tom might say, “I’m just wild about Saffron”). I put in half the small jar that we get at Trader Joe’s (see picture). If you don’t like saffron too much, go light on it. Preheat oven to 350. 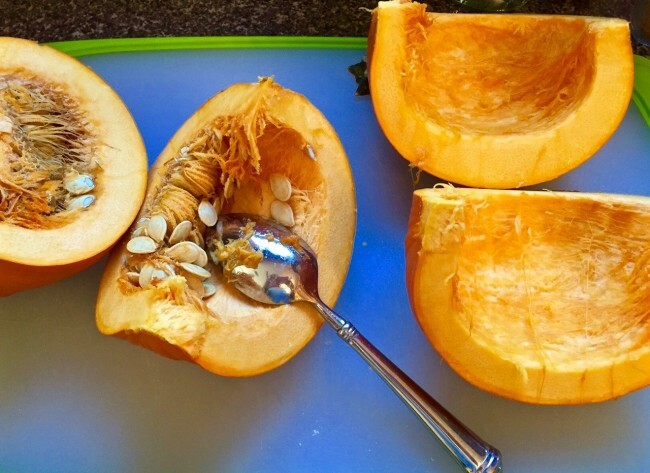 Cut the pumpkin into quarters and scoop out the seeds. Drizzle with butter and sprinkle liberally with cumin, Kosher salt, and white pepper. Roast on a baking sheet in oven until fork tender (approximately 1 hour). Cool. Scoop pumpkin flesh out of the shell. Purée in a blender or small bowl with an emulsifier, adding broth if necessary to thin. This should make about 3 cups. 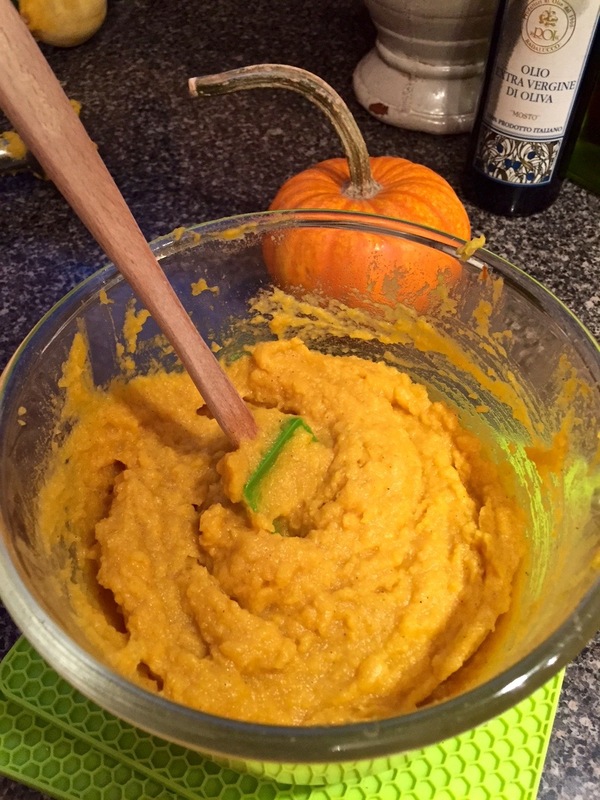 The pumpkin purée is better if you make it a day ahead of time to allow the flavors to meld. Cover and refrigerate. Bring to room temperature before making risotto. Bring stock to a boil and reduce heat to simmer. In a large pan, sauté shallots in olive oil with a splash of white wine until translucent. 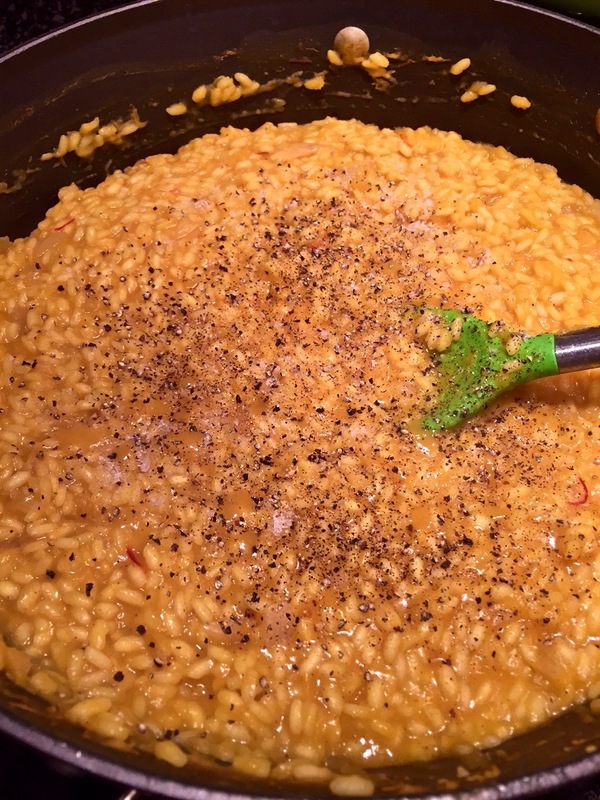 Add rice to shallots and sauté for 2-3 minutes over moderate heat, stirring frequently. Add wine and saffron threads, constantly stirring until all the liquid has been absorbed over medium/high heat. 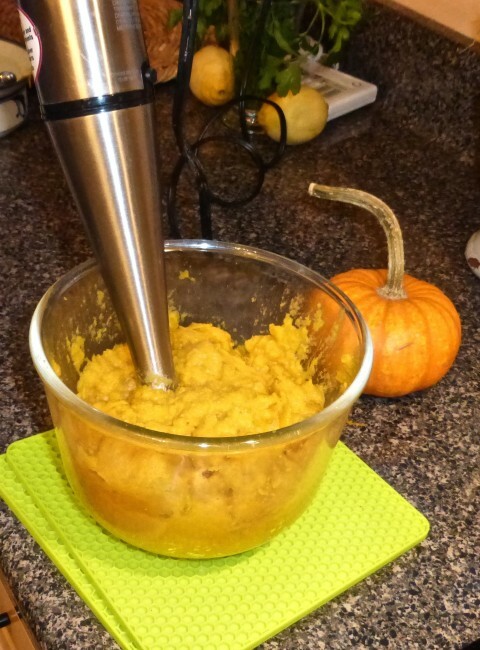 Add 3 c. pumpkin puree and 1 c. stock constantly stirring until all the liquid has been absorbed. Once the liquid has been absorbed, continue to add the stock, 1 c. at a time and constantly stir until liquid is absorbed. Repeat until the rice is cooked. If you run out of stock, use white wine or hot water. 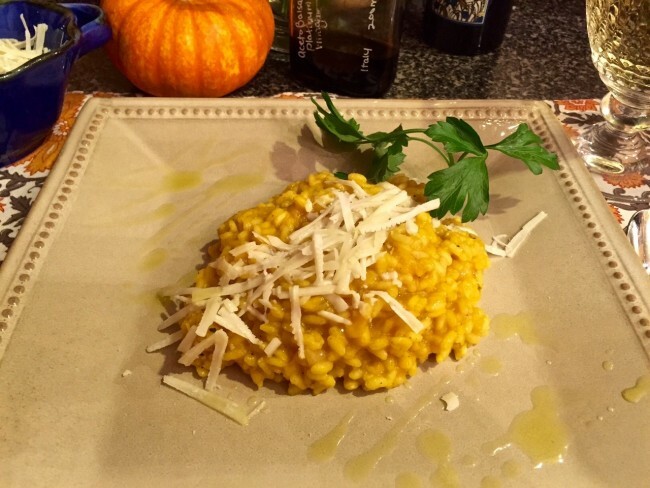 The risotto should be thick and creamy in consistency. 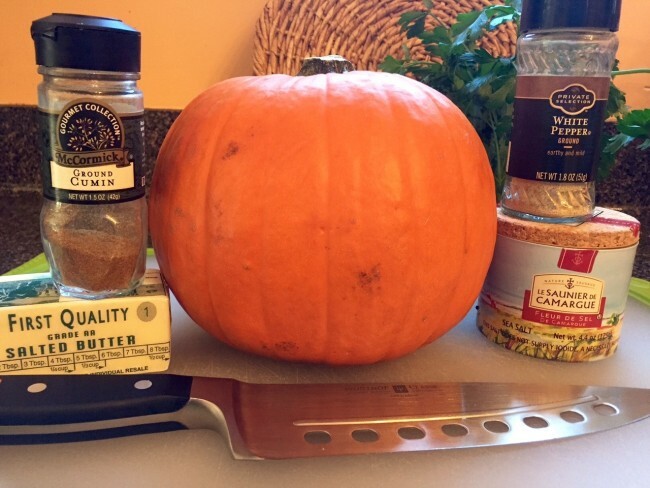 This takes about 25 minutes, remember to stir, stir, stir. 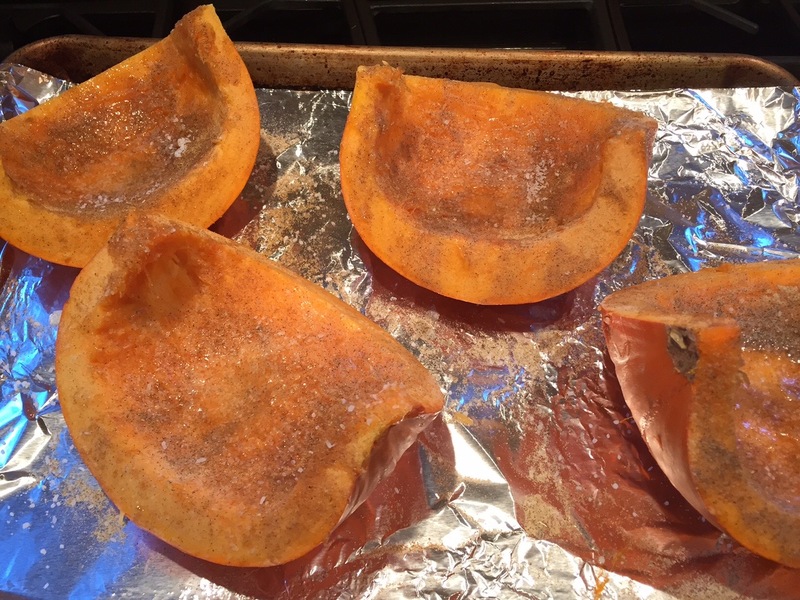 Remove from heat, add fleur de sel and black pepper to taste. 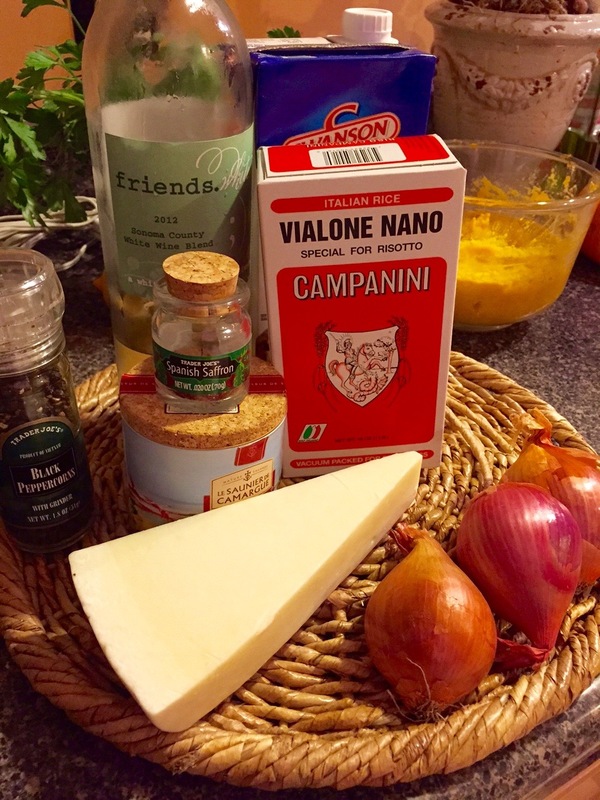 To serve, sprinkle with grated pecorino and drizzle with olive oil. Be sure to use a good, green, fruity olive oil. A drizzle of balsamic and some baby arugula would be good on this too. It’s great the next day, too!